EUthyroid is a European research project aimed at overcoming the negative health effects associated with iodine deficiency. The World Health Organisation (WHO) has identified improved monitoring as crucial towards overcoming iodine deficiency in Europe. Accordingly, EUthyroid will work towards harmonising iodine monitoring and sustainably improving the iodine intake. 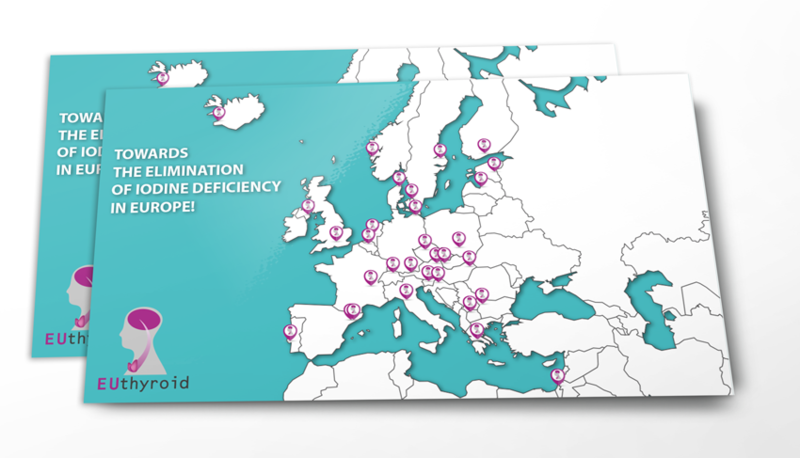 The network performs research into the current situation regarding iodine intake and the health consequences of iodine deficiency in participating countries. A particular focus will be placed on pregnant women and the potential impact of iodine deficiency on the intellectual development of the child. These aims will be accomplished through the following objectives. The project positioned itself as international hub of current national initiatives in the attempt to coordinate and support existing national activities.